Searching for the right budget software for your family can be confusing, frustrating and downright annoying. 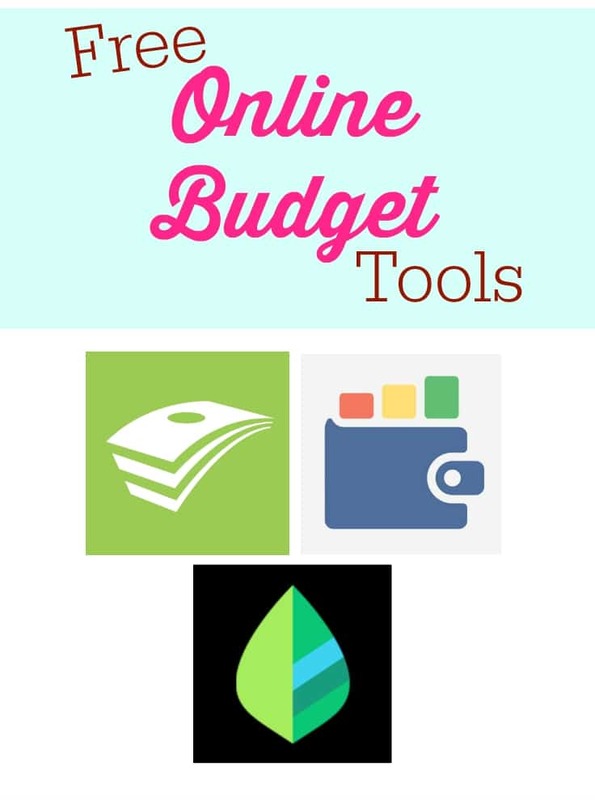 Between budget apps and online budget tools, there are literally thousands of choices. If you’re looking to replace your budget software, these three free online budget tools are an awesome place to start. They’re easy to use, perfect for both new and experienced budgeters and best of all, FREE! It doesn’t matter if you’re a novice saver or a veteran money manager. They’re all set up in a way that makes it easy to input your income and expenses followed by continued tracking of those expenses. The third one on this list is by far the most complicated of the three, but with that being said, it is still quite easy to set up and manage. 1. EveryDollar.com. Dave Ramsey fans will recognize this budgeting system. Based on his Total Money Makeover, EveryDollar.com helps you and your family build a zero based budget. You can add or delete categories, track transactions and watch every percentage of your income be budgeted. There is a paid version that allows you to import your expenses, but it really isn’t necessary for most families. 2. BudgetSimple.com – BudgetSimple is another free budget tool that can be great for any family. Based around the owners own budgeting spreadsheet, it allows you to create a truly personalized budget and debt repayment plan. Again, there is a free and a paid version. The paid version allows you to import connect your bank account, but again it’s not necessary for keeping your budget. 3. Mint.com – If you’re looking for something a bit more complicated that can track both your budget and expenses, Mint.com might be best for your family. It has the ability to track debt, net worth, expenses and more…all for free. The best part is that Mint is owned by Intuit, the same people who own and run Turbo Tax and are a trusted brand. Check out Mint for Canada too. No matter which budget tool you decide to use, you’ll need to find one that works for you and your family. Choosing the wrong one can mean that you’ll find yourself off budget before you really know it. With a budget in place, you’ll find that it is easier to stay on track and keep your balances in check. What tools do you use for your budget? I only use an Excel Spreadsheet to keep track of my expenses and I think the EveryDollar.com. by Dave Ramsey would be a awesome budget site for me to use. And I like that it is free!! Love that these are free apps, people who are already having difficulties budgeting can’t afford to pay for these to help them out of the hole. I didn’t even know these existed, we need to make one and been working on it so we can have early retirement, thanks will check this out. Mint is awesome, and pretty much the only budget tool you could really need! I don’t think there’s anything it can’t do.